Then click on Generate Report. It will generate a report with crucial information. Similarly, the user can a select number of combinations from those that are available. 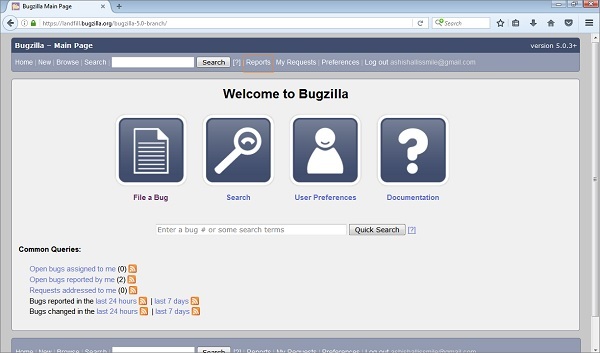 To generate graphical reports in Bugzilla, we have to follow the steps given below. Step 1 − To begin with, click on the Reports link at the header of the homepage. 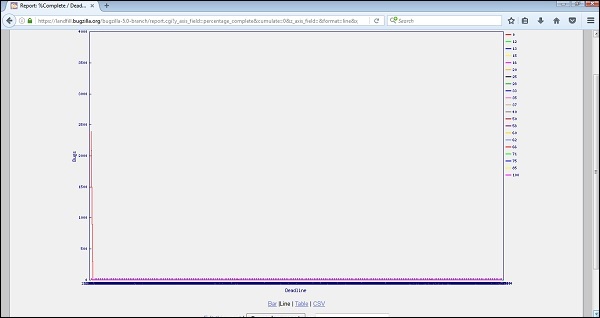 Step 2 − Click on the Graphical Reports hyperlink, which is listed under the Current State section as shown in the following screenshot. 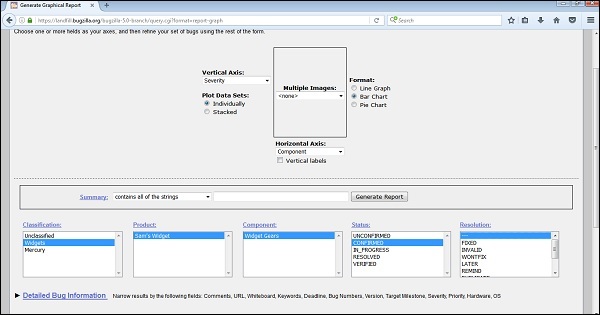 Step 3 − Now, set various options to present reports graphically. Some of the important options are given below. Step 4 − Click on Generate Report to display a Bar chart, where the Severityof a bug is the vertical axis, while the Component “Widget Gears” is the horizontal axis. Step 5 − Similarly, a Line Graph can be created for % Complete Vs Deadline. The result for the above mentioned line graph will be as follows.